Incredible move in ready home, located in San Tan Ranch, conveniently located just 13 min from Loop 202. Impressive private courtyardentrance, with custom gate & self cleaning decorative water features. Spacious covered north facing patio & balcony that spans the width ofthe home, synthetic lawn backyard with water features, overlooking the greenbelt. Beautiful kitchen with stainless steel appliances & largewalk in pantry. A unique kids play area. Master suite encompasses the bedroom, bathroom, walk-in closet, and also a home office. A convenient split garage, the deep and wide tandem with its wide 10'x18' single door easily fits most toys and trailers & still leaves room for a small workshop. 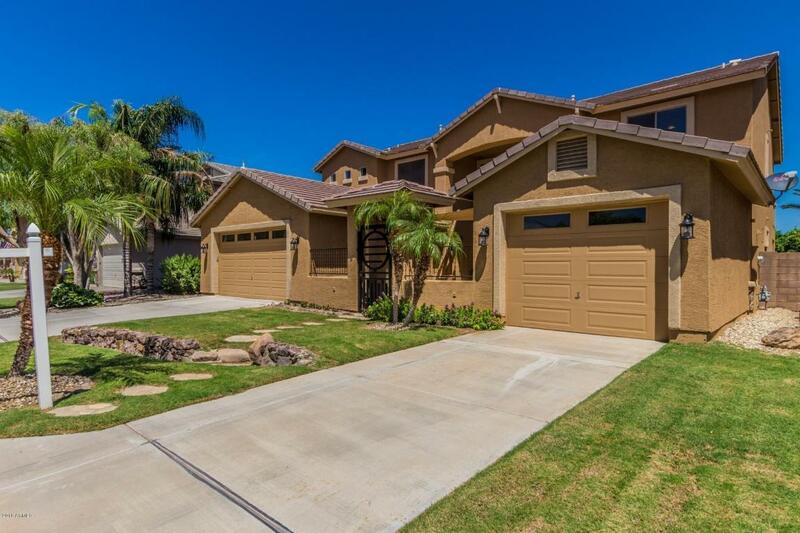 Listing courtesy of Arizona Home Brokerage.